The Morgan County Medical Society and Passavant Area Hospital are partnering with the Jacksonville Park Foundation and Illinois College Professor Dr. Jeremy Turner to give away helmets to every fourth grade student in Jacksonville. Illinois College student JJ Wang fits helmet during Protect the Melon 2014 at Lincoln Elementary School. 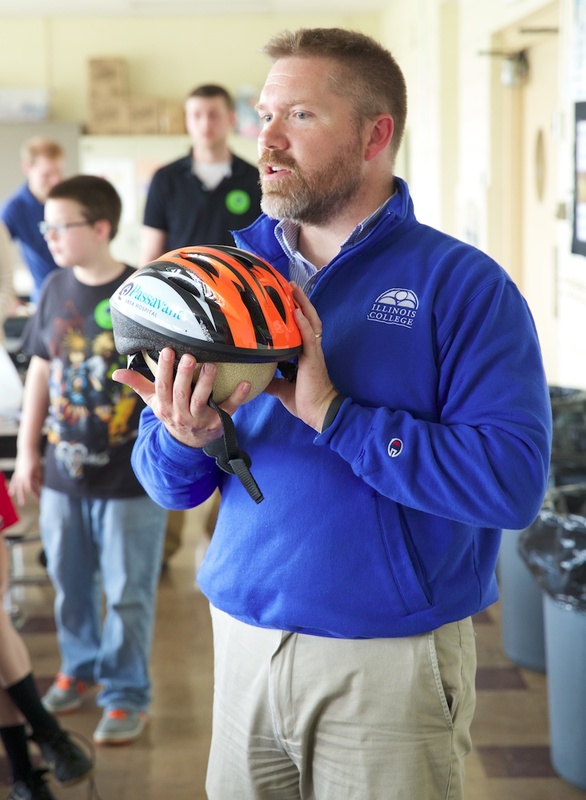 On Thursday, April 9, Illinois College students will travel to District 117 schools to give a lesson on how the brain works, show how a melon with and without a helmet fares when hitting the pavement, and distribute the helmets. Distribution to Our Saviour School, Salem Lutheran School, Westfair Christian Academy and Illinois School for the Deaf will be at a later date. Test your knowledge and learn about relevant laws and skills – for both bicyclists and motorists – in the bicycle safety quiz challenge at bikesafetyquiz.com. The Jacksonville Park Foundation focuses on health, recreation and families. Volunteers in the group have started several initiatives to improve the quality of life in the Jacksonville community such as its youth health via the Jacksonville Children’s Garden; advocating for a bridge and path at Lake Jacksonville and a Town Brook recreational trail; and park enhancements. The foundation is a nonprofit, tax-exempt charitable organization and is solely reliant on private funding. Illinois College Psychology Professor Jeremy Turner prepares to drop a melon fitted with a helmet during Protect the Melon! 2014 at North Elementary School. 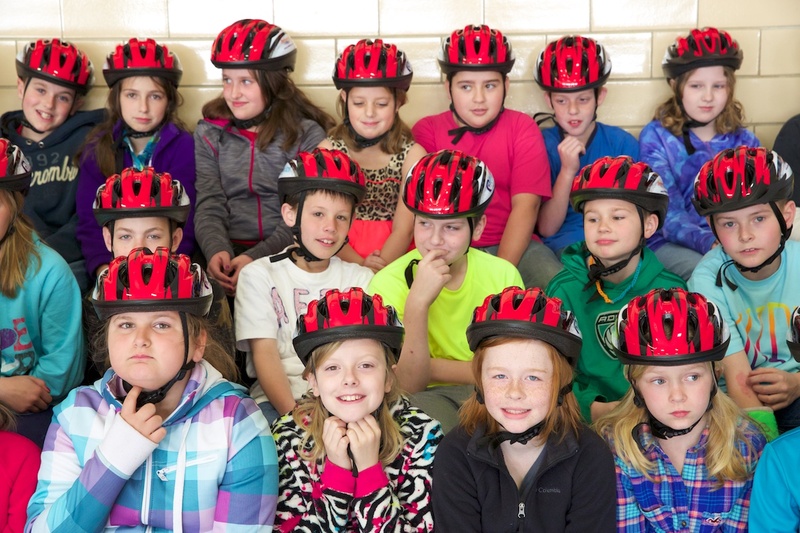 Students at Murrayville-Woodson Elementary School with their new helmets last year. 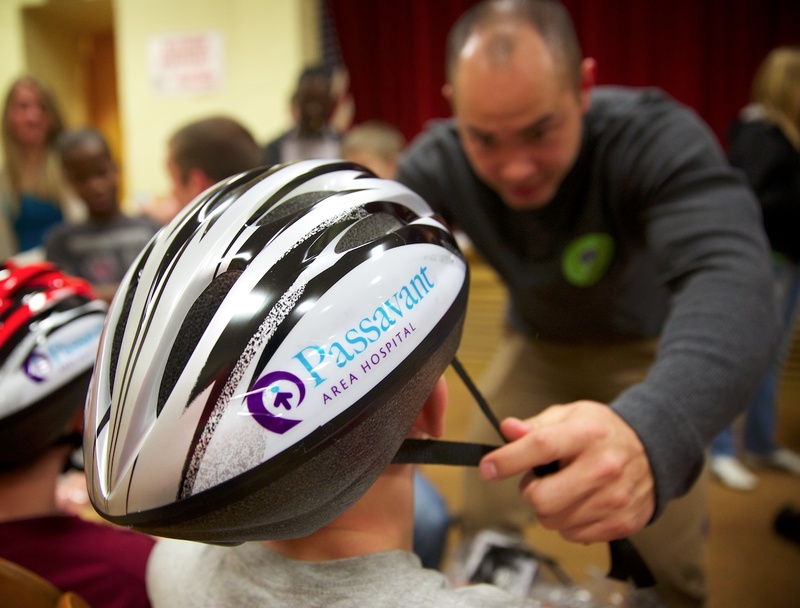 Fourth graders at all Jacksonville schools will receive helmets again this year thanks to Morgan County Medical Society and Passavant Area Hospital.